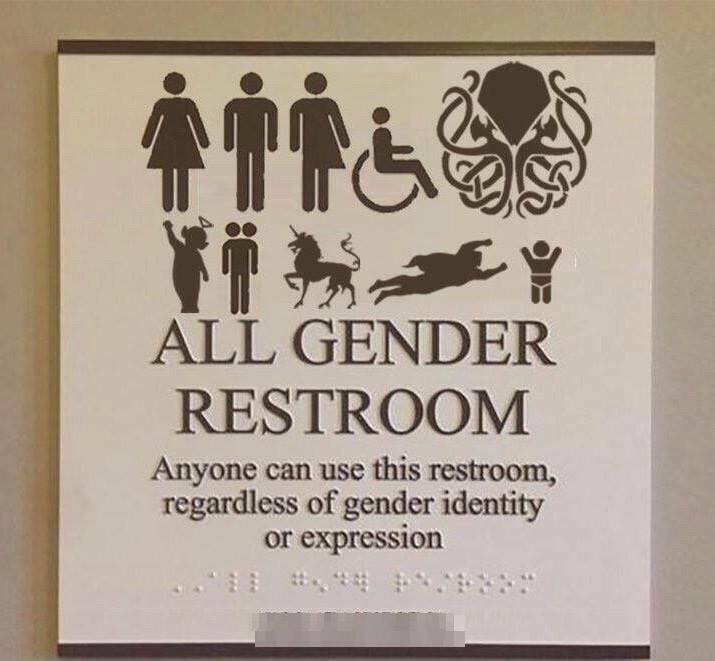 The restroom issue in America is out of control. For some reason, it's risen to be an 'election issue'. In California there are six recognized genders and they can change whenever you feel a bit confused - trouble fitting in with male lesbians? You can find another suitable 'gender'. For some reason, "progress" as defined by the progressive movement, means that I need to share my space with freaks. It used to be that a restroom was a place where a guy could take a leak, wash his hands and leave. Now you need to be on your guard. You don't know who is coming through the door, and if the "lady" stands next to you, hikes her dress and waters the horse, (I've actually seen that at the San Francisco District Attorney's Office) "tolerance" is called for. Tolerance has limits. 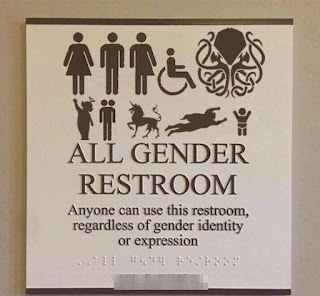 If you don't identify as 'male' or female, use the family restroom. 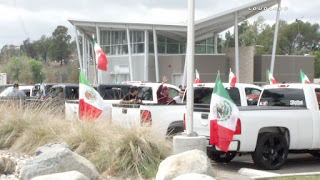 Have you ever wondered WHY Mexicans who are protesting Donald Trump are waving the Mexican flag as part of that protest? It doesn't make much sense until you understand their mindsets. Diogenes' Middle Finger had a good blog post on the subject. Let's begin there and I'll elaborate as best I can. That's it. 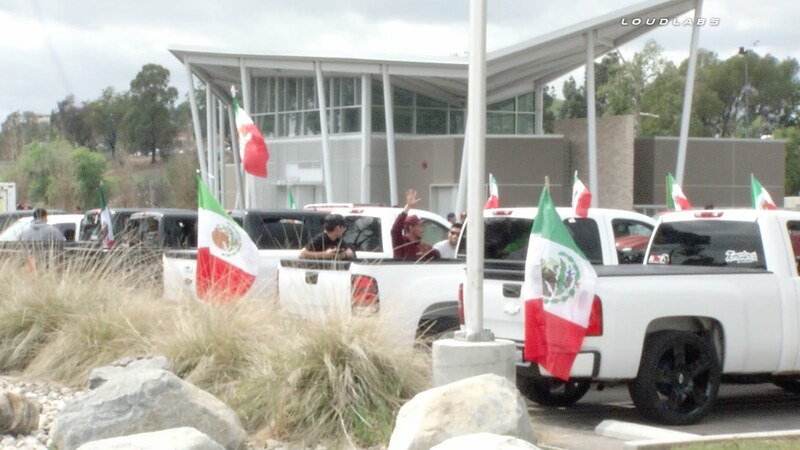 That's the movement and that's why they wave Mexican flags. 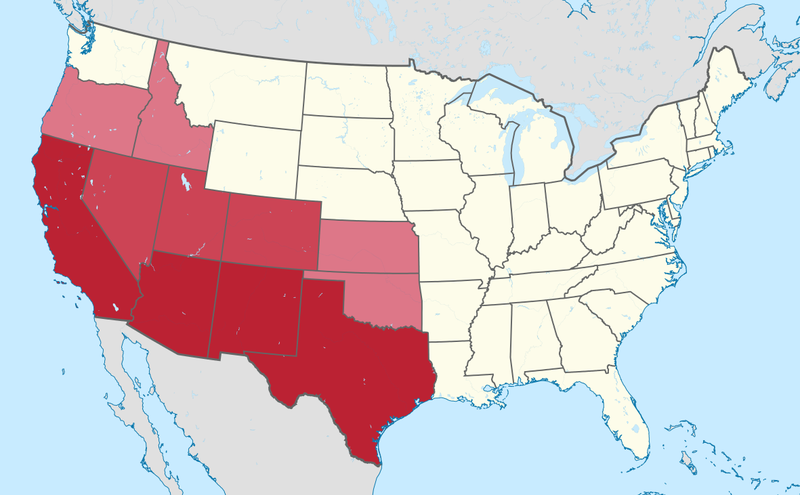 Their goal is to reconquer the American Western States, expel anyone who isn't Hispanic and install their own (communist) government. It's something that I haven't heard on Fox News or any of the mainstream media outlets. Do the research, you'll see what I mean. And that brings us to Donald Trump, the least likely American leader to cede US territory to a few hundred Chicano racists. It's not surprising that his talk of deporting the foot soldiers that these grievance peddlers want to mobilize must keep them awake at night. 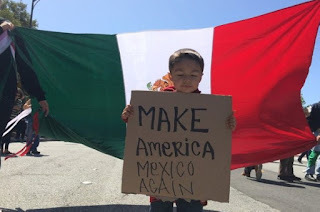 They hope for a guerrilla movement where Mexico rises again...except it was Spain, not Mexico, that explored some of the western portion of North America. And that the thing that makes Mexican food good was the French occupation of Mexico and their distinctive love of sauces. Nobody celebrates Cinco de Mayo in Mexico. But you can bet your last pound of carnitas that the radical Chicano movement will be swilling cerveza and gulping pulque by the gallon (peasant liquor). They don't have much sense of themselves, but they'd like to retake California, Arizona, New Mexico and Texas.